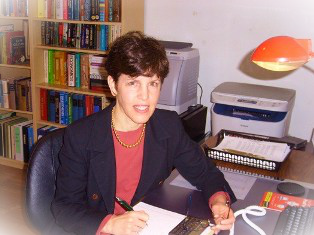 Helen Altman-Felsher, MBA founded HAF Insurance to advise individuals and businesses on sustaining financial security and asset protection through all stages of their lives and from one generation to the next. With nearly 20 years experience in risk management and an expertise in Annuities, Life, Health, Disability, and Long Term Care insurance, Helen is a seasoned expert able to guide her clients to the best value and most suitable insurance programs for their needs. Every insurance program that Helen recommends utilizes proven products from the most highly rated companies. And, to make certain those insurance programs are expertly coordinated with clients' estate and business plans, Helen routinely works with attorneys, accountants, and financial planners. Helen is a member of the National Association of Insurance and Financial Advisors, has qualified for Industry Leader recognition, and continually engages in professional education to keep abreast of industry developments and product offerings. HAF Insurance primarily does business in New York, Connecticut, Massachusetts, and Virginia while servicing corporate and individual clients in other states. For US citizens travelling abroad, HAF Insurance obtains international medical coverage. through the right use of insurance.